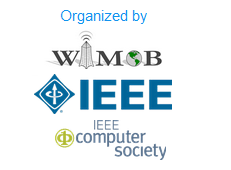 All accepted papers will be published in the 13h IEEE WiMob conference proceedings and by the IEEE, and will be accessible via IEEE Xplore Digital Library and indexed by DBLP. Authors are required to submit fully formatted papers (PDF) following the 13h IEEE WiMob author guidelines : here. A selection of accepted papers of high quality will be considered and authors will be invited to produce an extended version to be published in a special issue of a specialized journal. The registration applies to authors as a single package that includes both the main conference and workshop sessions, please visit the registration link: here.